It looks like a concert. More of a party for me! Hey Matt, wanted to thank you for all you’ve done with WordPress absolutely awesome, great platform, WordPress.com is superb. I will be seeing Capital Cities, along with Fitz and the Tantrums, Passion Pit, Two Door Cinema and others this month. Really looking forward to it! I hope you enjoyed the concert . 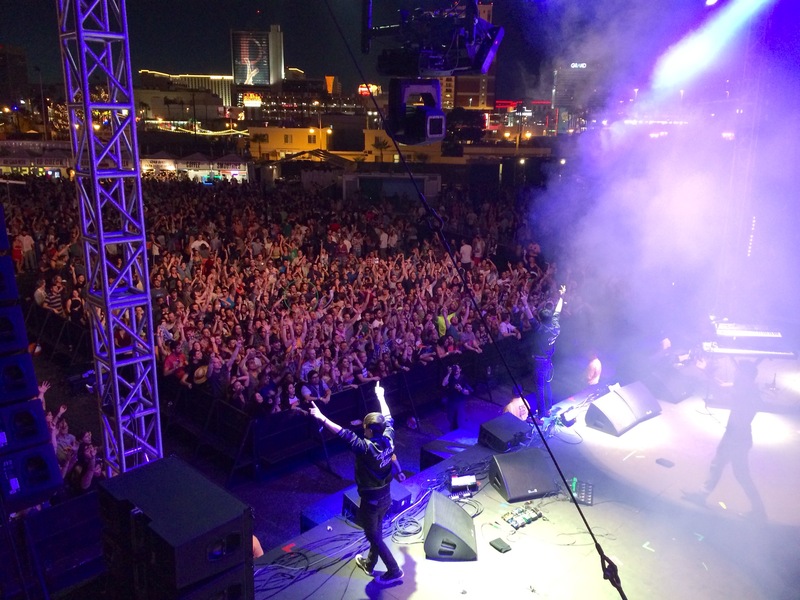 Thanks for the photo – reminds me of how good it feels to be outside hearing great music! [ Smiles ] Hmmm. It looks like a concert of some kind. For the record, this is an impressive photo! Oh man I’m envious — I love Capital Cities! Is this event for charity? Where did the concert take place? I can’t tell who the entertainer was, since the photo was taken a distance away. You know it, life is beautiful and more through good and bad!